Harvard is perhaps best known for producing some of the most heinous war criminals and terrorists of the second half of the 20th century, from Henry Kissinger to the Unabomber. But there is one thing that Harvard won’t stand for, and that’s offensive memes. Participation in the fringe meme group reportedly included a kind of online initiation ritual where people would have to post something offensive to the main Facebook group for the incoming class, “Harvard College Class of 2021.” Members who did so were allowed to join the splinter group. 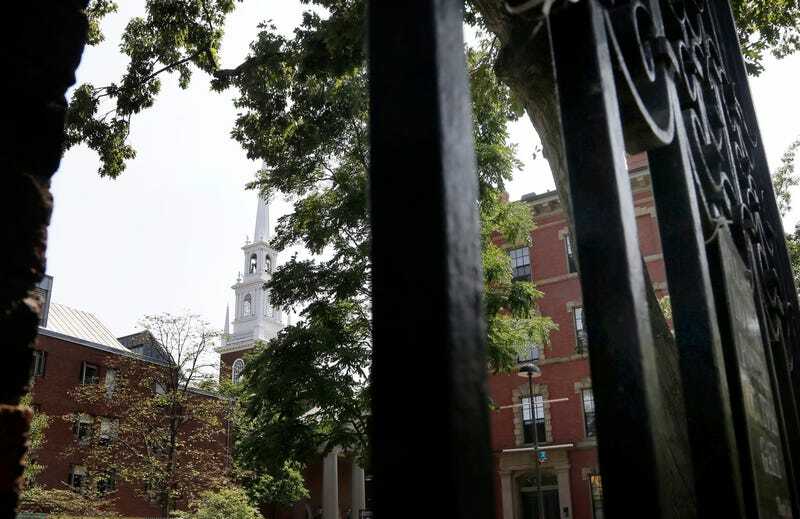 Students who participated in the private Facebook forum received an email from Harvard stating that their admissions status was under review and that they would be asked to explain themselves in order to be allowed to start classes at the school in the fall. “As we understand you were among the members contributing such material to this chat, we are asking that you submit a statement by tomorrow at noon to explain your contributions and actions for discussion with the Admissions Committee,” the email reportedly said. As Mic reported back in April, virtually every Ivy League school has a thriving Facebook meme culture often hidden in private groups, but each has their own rules. But, of course, there’s no reason that becoming a memelord requires being a racist prick. However, this does seem to be a recurring problem for Harvard, where students in a private group from the class of 2020 got into similar trouble last year. At least ten students ultimately had their admission rescinded by Harvard this year, which admitted just 5.2 percent of its applicants for the class of 2021. Gaining acceptance to the university is incredibly difficult, unless your parents are rich. In which case it seems $2.5 million is roughly the price of admission.